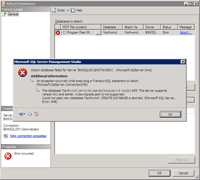 When you restore or attach a database which is created from SQL Server 2008 to SQL Server 2005 or SQL Server 2000, you will see some error messages as the examples below. -> The media family on device ‘the backup file‘ is incorrectly formed. SQL Server cannot process this media family. –> The database ‘database name’ cannot be opened because it is version 655. This server supports version 611 and earlier. A downgrade path is not supported. These problems occur because a backup or detach database file is not backward compatible. 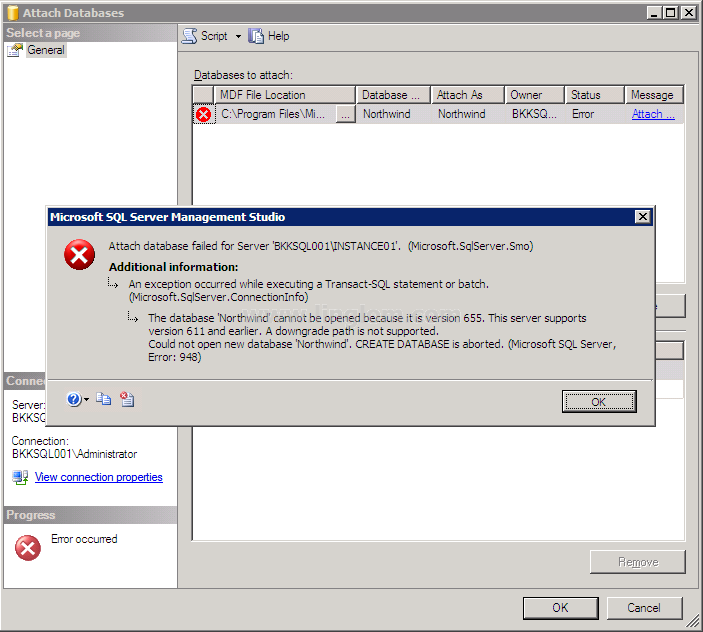 You cannot restore or attach a database which is created from a higher version of SQL Server to a lower version of SQL Server. But there are some alternatives which can help you to restore a database to a lower version of SQL Server. I divide into separate parts. If the source database contains lots of data, you will have a large script file. The generated file is a plain text. Anyone who has access to the file can read it. So you should delete the script file after the restoration. Part 3: Import and Export Wizard. This solution exports data to the targeted SQL Server using a wizard. It is more secure and effective than the first solution. But you can only export tables and views only. I had the same issue, and exporting from the source development server running SQLServer 200) to the target production server running 2005 worked fine. Thanks for your post! i really was impressed in the detail for the total related query language ,thanks. 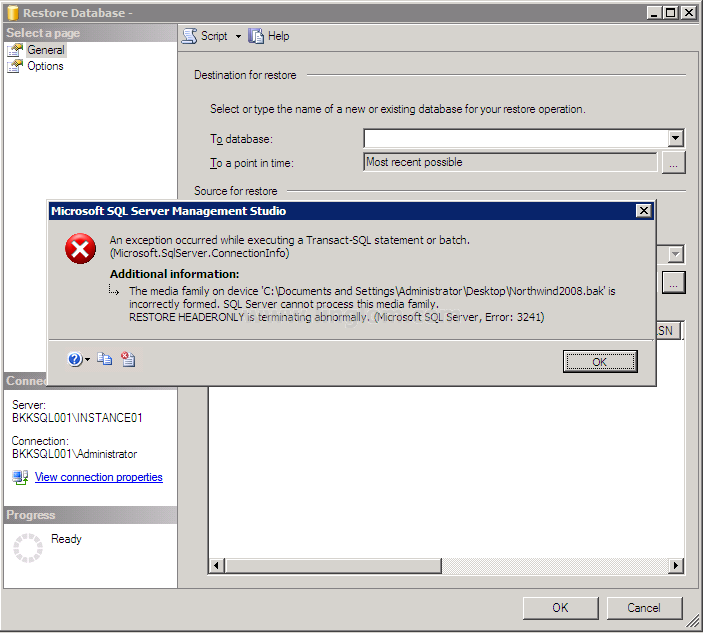 I am having sql server 2008 db file…and I am having sql server 2005 . I am unable to attach the file .Plz let me know the procedure and if any body can help by Converting the script file plz mail me at [email protected] ..
DATA12.MDF’ cannot be opened because it is version 655. This server supports version 612 and earlier. A downgrade path is not supported. It seems you’re attaching a database which is created by different SQL Server version compare to the SQL Server you’re working on. If you’re using Visual Studio, make sure that it connects to corrected SQL Server instance. 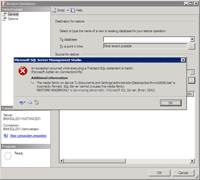 Or if you want to attach a database created by SQL Server 2008 to SQL Server 2005, check Part 2 and Part 3.